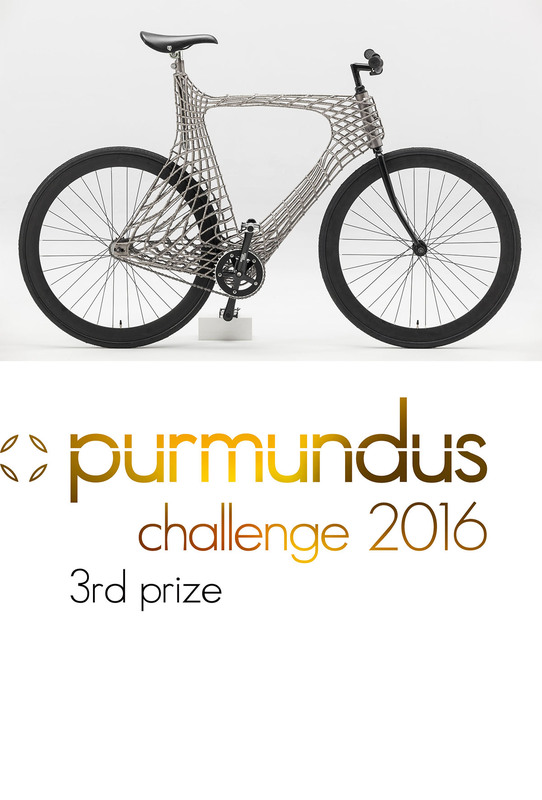 The purmundus challenge 3D printing design award was presented for the fourth time in Frankfurt on 17 November 2016 as part of the formnext exhibition. A total of five submissions received the coveted gold trophies. Mobility has brought the world together in recent decades. Particularly in light of the growth of metropolitan regions, which are accounting for an increasing share of the world's population, connectivity, fashion and innovative modes of transport are becoming more and more important. The mobile person is in motion. 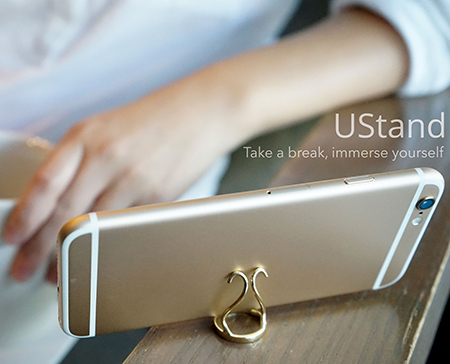 Always on the go, always in transit. This also applies to moments when they could actually gain respite from the forced mobility of their everyday lives and jobs: in their free time. Mobility has become essential for sustaining a high quality of life. In light of this, health care will also play an increasingly important role. 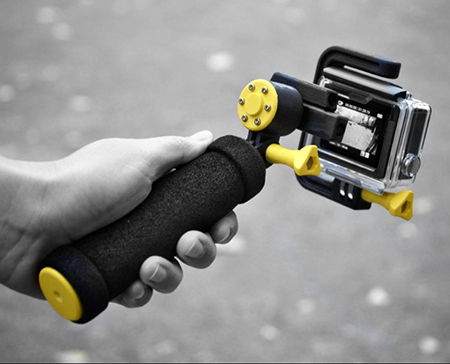 How can 3D printing support the mobile person? What products does it complement in a useful way? 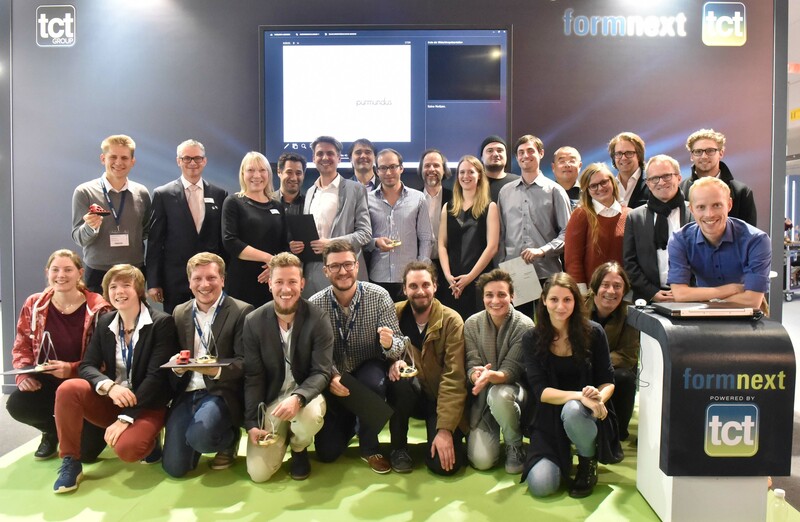 From 15 to 18 November 2016 at the formnext exhibition, 18 finalists from around the world presented their outstanding designs which included an electric motorbike, various bicycles, an electric scooter and a hyperboard. The finalists also included innovative, futuristic concepts in the fields of lightweight construction and bionics as well as clothing, glasses, jewellery and various medical aids. Providing prostheses for children is exceptionally difficult. Because cases are (happily) rare, there are only a limited number of products available for children from the big manufacturers. There are no prosthetic feet for children under the age of five, for example. That is why the current state of the art is for an orthopaedic technician to simply provide feet made of foam. 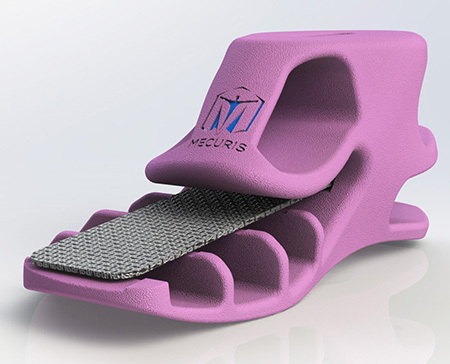 Mecuris is tackling this problem with the FIRSTEP children‘s foot. 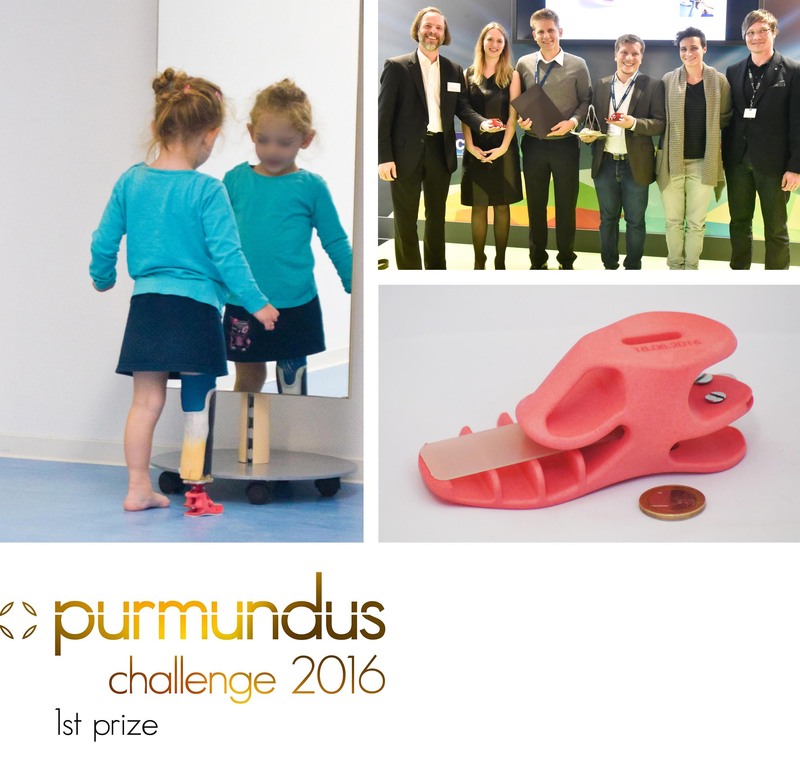 A complete, parametrically structured CAD model of the foot enables customised care for children of any age. 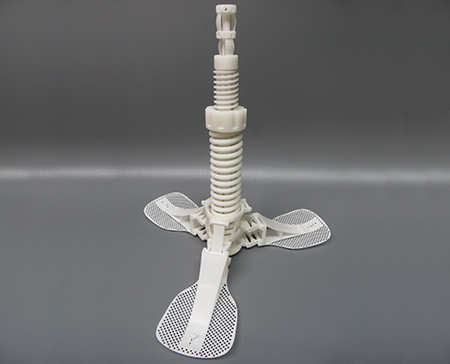 Additive manufacturing using selective laser sintering (SLS) allows the prosthetic foot to be produced quickly and cost-effectively. The integrated carbon or fibreglass suspension provides the same good energy return also achieved in pricey prosthetic feet for adults. Two children are already mobile again thanks to Mecuris feet, and evaluating the new product on the beach, in the sandpit and when climbing. The feedback has all been positive thus far, and the rapid delivery times of one week in particular have been praised as a major plus point. Mecuris is making sure that this remains the case through continuous development. 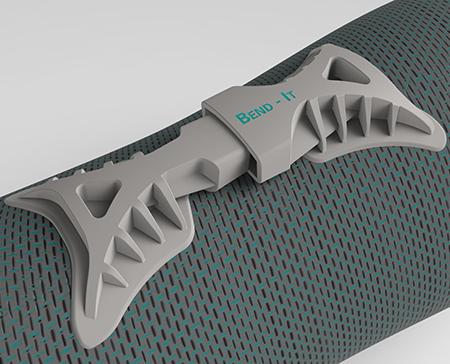 Bend-It is the first product to combine the dermatological comfort of a textile compression bandage with joint guidance made using fibre-reinforced 3D printing that is as light as it is stable. Traditional metal or plastic reinforcement elements have never been produced individually or combined with the textile in a complex joining or assembly process. 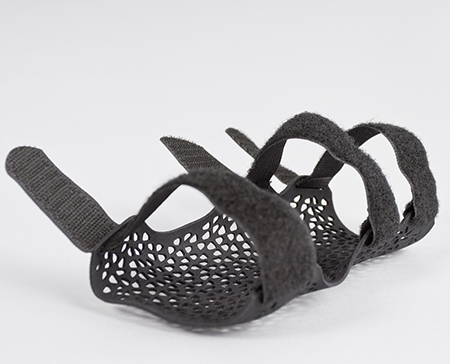 Using fibre-reinforced additive production it is possible to to produce tailored supports for a broad group of users on the basis of 3D body data. The overextension of the elbow or knee when moving or under strain can now be limited or completely prevented in accordance with the personal recovery or training plan. 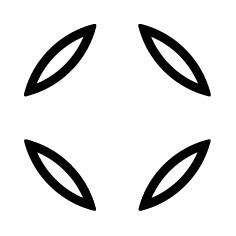 The angle permitted can be set at will at any time. The compression of the bandage itself also improves blood flow in the region of the joint. 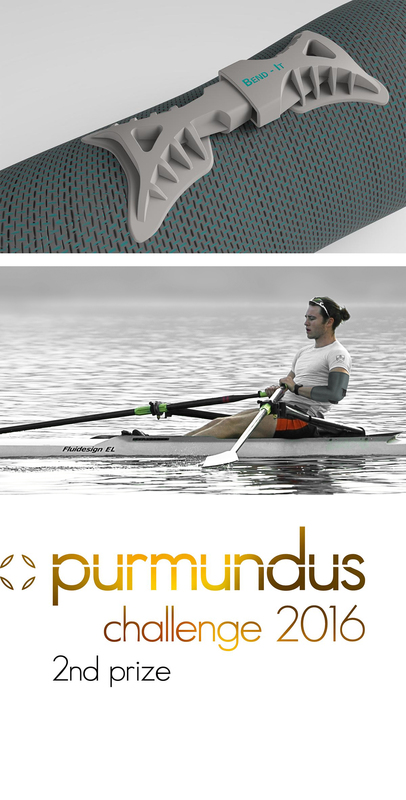 Since pure thermoplastics are not stiff or rigid enough for the necessary reinforcement elements, high-performance fibres (carbon or glass) are integrated in addition to the thermoplastics used in the FDM procedure according to where force will be exerted, increasing the mechanical properties by a factor of 10 while also significantly reducing the weight. The continuous filament-based reinforcement elements are made adjustable according to the specific requirements, and are applied directly to the textile by means of an additive process without the need for conventional joining processes (sewing, gluing, welding). The necessary adjustment mechanism can also be produced directly within the additive production process by means of an integrated construction method. This kind of integrated additive manufacturing could be used in the textile and fashion industry to produce other innovative hybrid products. The combination of supple textiles and adjustable, stiff materials opens up completely new opportunities in terms of design, allowing patients and athletes to be cared for in a tailored manner according to their symptoms, and within the shortest possible space of time. 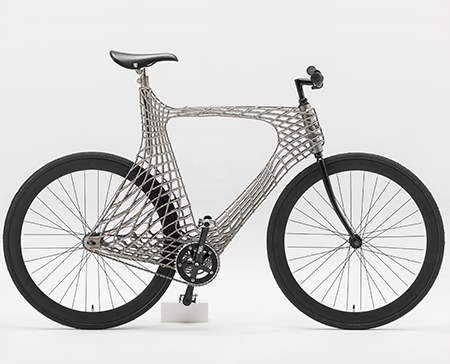 At the MX3D facility in Amsterdam, a student team from TU Delft has developed a fully functional 3D printed stainless steel bicycle. 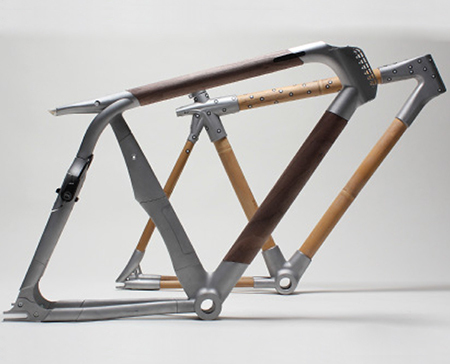 The students designed the frame of the bicycle to demonstrate the potential of the MX3D method for 3D printing metal. 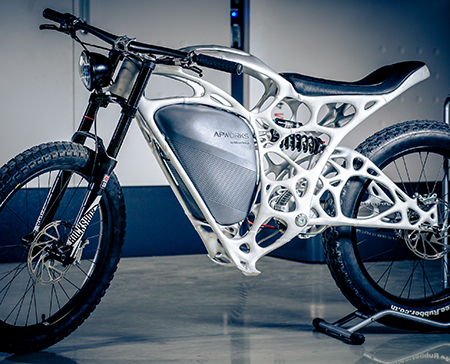 The printing process used to produce the frame is known as Wire and Arc Additive Manufacturing (WAAM), manufactured in mid-air by stainless steel filament. 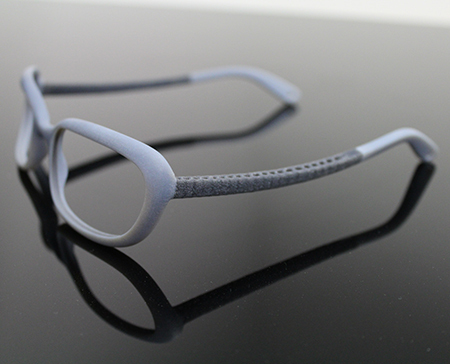 This 3D printing technology enables cost-effective, large, localised manufacturing - allowing unprecendented opportunities for aesthetics, ergonomics, as well as physical performance. 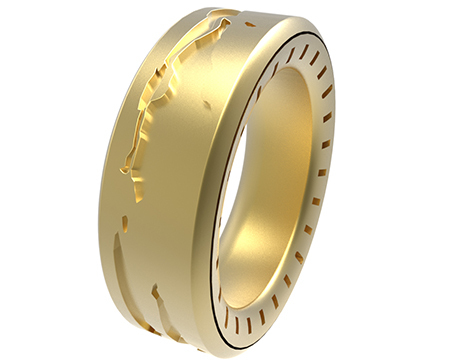 Furthermore, in our forerunning lifecycle analysis, we also found that power consumption of this technology is far less than other metal 3D printing techniques. In a video about the production of the bicycle, the students prove the frame‘s strength by driving it around the city of Delft. Thus demonstrating that it can really be used in real world conditions. It offers quite a smooth ride. 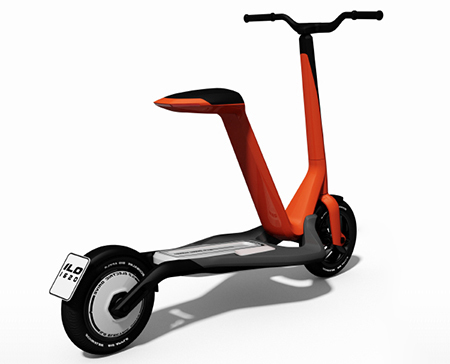 The wheel base and the low centre of gravity of the bicycle make it easy to take fast turns. Places used by a large number of people at the same time can also be loud. Equipment, machinery and vehicles also add to the acoustic stress. 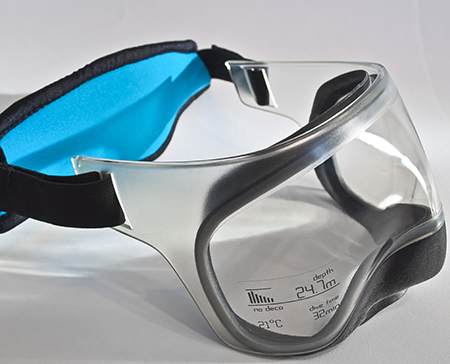 A number of different methods are used to combat this stress, including the use of various noise reduction products. Insulating boards installed on the ceiling or in front of sound-reflecting surfaces, foam modules with special surface structures or acoustic fabric curtains are some of the products used. sonogrid is a 3D-printed, coarse-meshed substance that absorbs and breaks sound thanks to its pyramid-like structure. The sound is converted into vibration and heat, which improves the acoustics of the room. 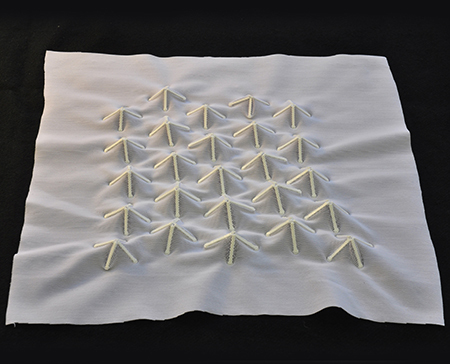 The solution combines the tried and tested use of textiles for noise insulation with the benefits of rapid manufacturing. The stretched material is printed using fused filament fabrication, and forms a three-dimensional structure when in a relaxed state. 3D printing also allows structures to be produced in different sizes, alignments and patterns. This allows the product to be tailored as much as possible to local requirements. The structure of sonogrid is produced parametrically. A room‘s acoustic data, recorded using sensors, can be used to tailor the pattern to be printed precisely to this data. The material used can be transported in a way that conserves space, is light and can be folded or rolled up. It can be adjusted to suit the spatial conditions on location because it is easy to trim and can also be applied to irregular surfaces. This means it can also be used for short-term applications, such as trade fair stands for example. 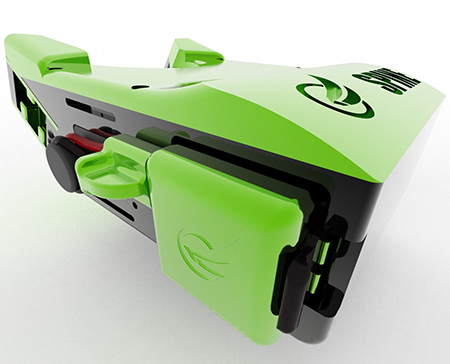 3D printing technology also allows the material to be printed on site. 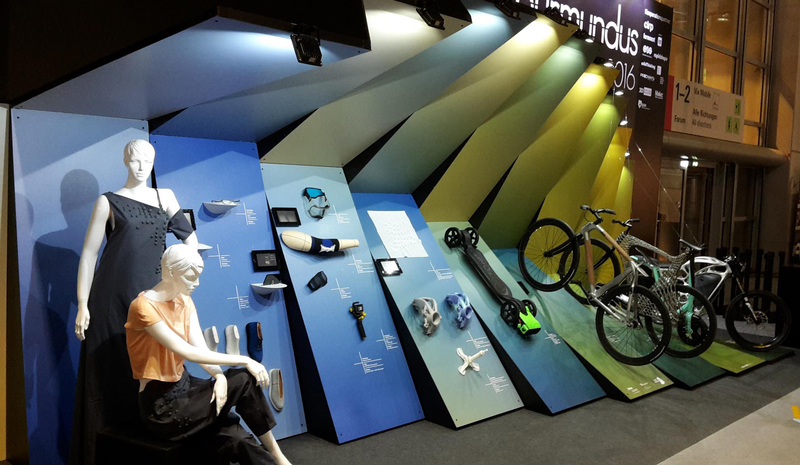 Due to the ongoing process of urbanisation and raised awareness of ecological issues in society, consumers are once again focusing on the first ever, large-scale, personal mode of transport. At the same time, the bicycle is increasingly becoming a lifestyle product and gradually replacing the car as a status symbol. 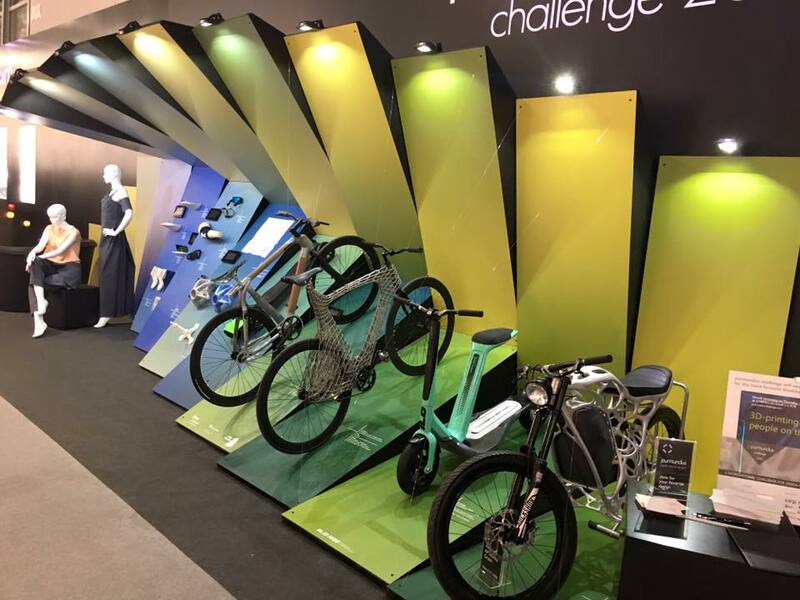 In a survey conducted this year by ROSE Bikes, 53% of people aged between 18 and 34 indicated that they consider the bicycle to be a fashionable accessory that defines their healthy and modern lifestyle. Current developments in the automotive sector underscore this aspect, with car sharing becoming increasingly popular in cities and the development of self-driving vehicles reducing the levels of individuality and identification associated with a car. Driving a car will therefore increasingly become simply a way of meeting a need for mobility. A bicycle, on the other hand, stands for individuality, awareness of the environment, freedom and health. 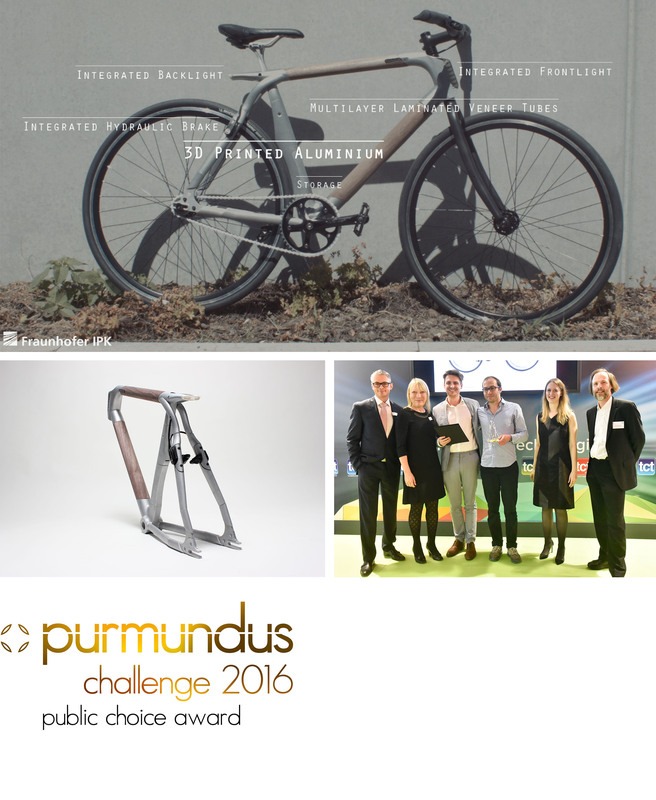 The Unique Bicycle makes the consumer a prosumer and co-creator. They can design their own bicycle using a CAD configurator. Once the customer has designed their bicycle, the CAD files are optimised for additive production and the CAM file is created. 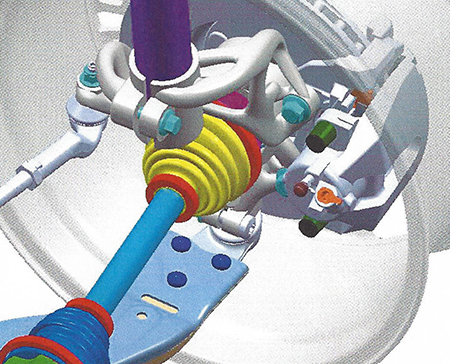 The components are then produced using additive techniques. 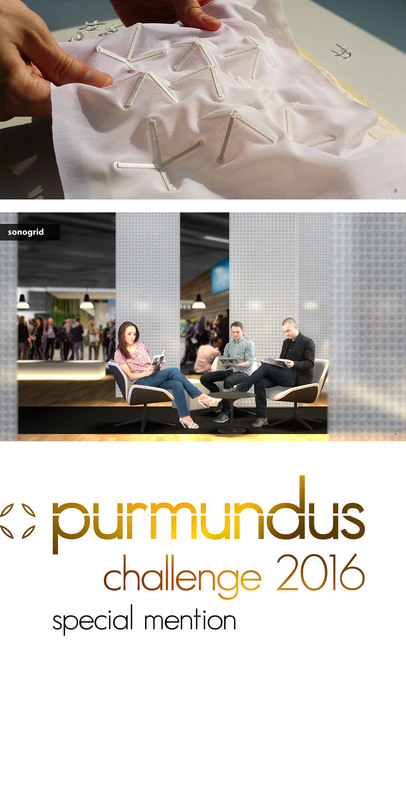 Special thanks to our jury and cooperation partners!